Guestbook - Faringdon Community Website. Scroll down to see the most recent posts. Did you live here once? Do you still live here? Trying to contact someone you used to know? I grew up in Faringdon 1961 to the early 80’s. How very sad it is to visit now, my beautiful little home town has gone. So much building! Out of town stores look hideous, and the heart of the town has been devastated. Very very sad. A long shot I lived in Buckland 1952/54 and met a girl who came from . we were very close but sadly I moved in 1955 to go into the R.A.F I think she was Faringdon carnival or beauty queen in 1953/54. I am researching my family history and discovered an ancestor was the reverend at Coleshill village church from 1907 until around 1920. Herbert Harold Scofield. I was hoping someone may be able to advise of there are any old church records which may hold information about him or maybe even a photograph, he is listed in 1910 as living at the vicarage with his wife Frances Annie Scofield. I look forward to hearing from you. Regards, Lee. I noted the WW1 Roll of Honour Merchant's still lived in the area. If any relatives, descendants or associated have information I would love to hear from you. Does anybody have any trace of Joseph (Leslie) Eaton, said to have been born in Faringdon in 1877? There is no record of his birth on the BMD transcripts. He left permanently for London before 1891 to become an apprentice watchmaker. Also of Albert Sellwood whose birth in 1877 in Faringdon is recorded. The two are thought to have been schoolboy friends. Albert also ended up in London as a watchmaker. Also the father of Joseph above, another Joseph Eaton, clerk, born circa 1850 and died before 1902, place unknown. Many Thanks. I'm trying to find my uncle Pete Downie, I know he lives in a flat somewhere in Faringdon, I would love to make contact and come to Faringdon to visit him. Hello,I'm trying to trace Joseph webb my great grandfather, he lodged with a Mrs Lewis 1920s any information would be gratefully received. I had a school friend, David Le Gassick, son of a military man who lived in Shrivenham or Faringdon in the 1960s. I heard a rumour that he died in 1968...does anyone know please? 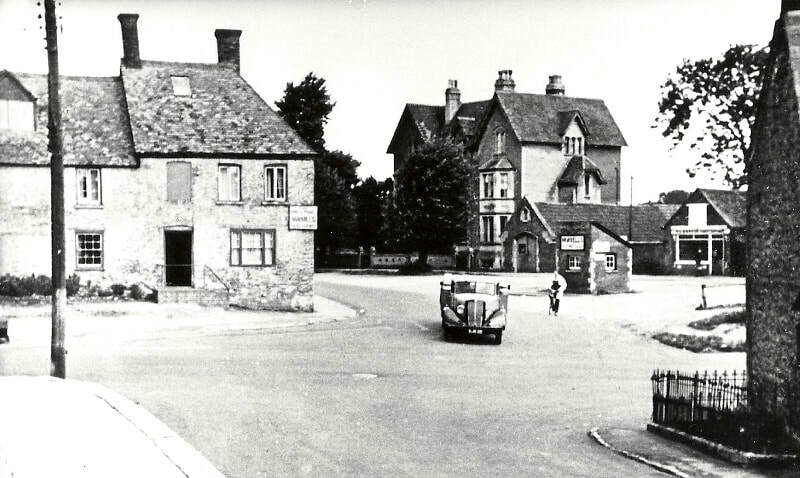 Hi, I was recently looking through some old documents and found reference to a gentleman called Fenton Duke who lived in the Faringdon area in 1960. Does anyone remember him and where he may have moved to? the Fishers home in London destroyed during the blitz. Moved to Faringdon...Am trying to locate anyone who knows the location of Victor Fisher who had Mom,several sisters & brother. He entered the Army & was stationed in Germany. Am returning to visit the Gordon Dowells & Helga Bohm Tuckwell. Would so enjoy if Victor could join us. But where is he? Does anyone know where the "Faringdon Advertiser and Vale of White Horse Gazette" was located in London Street about 1885, please. It was "owned" by a Charles Luker. The present address would be useful. I am researching into my wife's family history. The family name is goodenough, I have tracked them to Coleshill in the late 16th century but am really keen to get more information and go back further. Please can you suggest someone who might be able to help? I am wondering if anyone remembers Virginia Brown who used to live in the Bakers Arms in Uffington, together with her daughter Jemima in the 1970s. I would very much like to learn how life workout for her since they left. I wonder if someone can can help me. In the census of 1841 there is a place called 'Red Row' off Gravel Walk. The houses were numbered 1-6 so it's possible they may have been coverted in to larger houses. Does anyone know where Red Row was please. May I first say what an excellent website for the village this is one of the best I have visited so much info. Can you please help me with my research on an AVENELL family tree that I am currently working on. I cannot find any information on a STELLA MARY AVENELL (NEE HARTERY) born 1900 who was the wife of ARTHUR CECIL AVENELL licencee of the FOLLY public House. your website give me some information regarding their son DAVID but I cannot find her death. I have searched newspaper sites and this site and Ancestry with no results. does anyone know what happened to her? Hello, I wonder if you can help me at all - I am trying to find someone called David who lived at 11 Marlborough Close, Faringdon during the 1960s. He would probably be in his late 60s now and used to know my father, Malcolm Stuart Anderson. I found a letter from him in my Father's house when I was clearing it out following his death. As the letter is addressed to Dear 'Dad' I am as you can probably guess, quite curious about just who this person is. I'm sorry I don't have a surname, but perhaps someone might be able to help me out? I'm contacting, if possible, all of my loyal customers. Business and personal alike. I have enjoyed working in the community over the last 6 years and learnt a great deal from working at Faringdon Post Office. Thank you for your custom and I'm sorry that my departure was so rapid that I never had a chance to say goodbye to anyone. I'm still looking for whereabouts of MICHAEL BUCK who used to work at Southern Electricity Board, Faringdon. He attended King Alfred's School, Wantage. I am currently writing the biography of the rally driver Betty Haig who lived with Barbara Marshall at Shellingford House in the 1960s and 1970s. Barbara died in 1977. Does anyone in the History Society remember either Barbara or Betty? I would like to speak to anyone in the community who knew them. Hi there, I am tracing the history of George Lane a butcher and farmer who was, I assume, the owner of Spain Farm in the 1840s onwards for many years. His address was given as Spain Farm House in 1851. He had three sons, George, Frederick and Henry Burgess, who emigrated to New Zealand. Two of them married two sisters of my great-grandmother. I was wondering if the original farm house is still in existence? Hello, i have been working on my family tree & searching / studying all about the civil war 1642-1646 , i have been trying to locate books etc on it to find out more about my ancestors , who they were & what the did , i have discovered that Sir Robert Pye was in fact part of my family line, i am so impressed with what i have learned so far that i would be so grateful if you have any more info you can forward to me on him and his family/ career etc. I am disabled and I collect unwritten colored postcards and self-adhesive stickers from towns and villages in your region. Do you have such cards and stickers to send to me ? There is a good deal of information and pictures on this site to help you remember people and places. I contact you because I've seen on your website some memories about WWII at Faringdon. My grandfather – Aldo Silvestri - was prisoner of war in camp n.43 from 1941 to 1946. He worked in a farm. 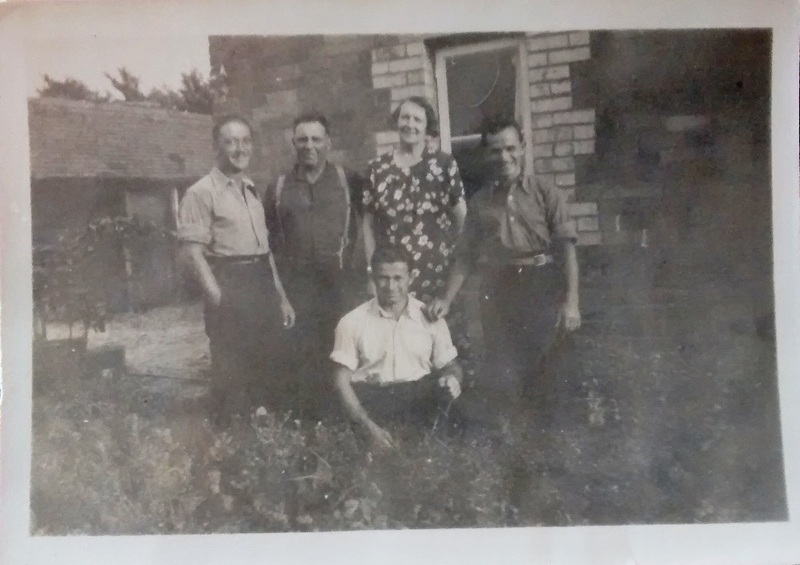 In attachment you can see him standing on the left with two other Italian prisoners. The man and the woman at the centre of the photo are the owners of the farm. Unfortunately I don't know their names. I wonder if you could help me to find more information or you could suggest where to ask. I am researching my great uncle Henry James who died at 1 Back Street Faringdon on 3rd February 1931. Can you tell me whether 1 Back Street would have been a private dwelling house or part of the workhouse? I understand that from 1930 the workhouse was divided into individual flats and wonder if he would have been a resident or was living in a private house. I would be grateful for any information that you may have or if you could suggest where else I might look. I'm researching my family tree and looking for some information on my relatives that lived in Faringdon from 1911. Due to the 1921 Census not yet available, it's a bit more difficult to find household members from that time. My great grandmother Mary Herietta Hayward worked as a scullery maid and rose to the rank of ladies maid in Thomas William Anns household; or possibly that of Lionel John Anns (Thomas Anns son)household in Shrivenham? The dates are post 1911 Census as she worked in another location for that census. She got pregnant by Lionel Anns and the cook of the house adopted the child, Daphne (Hayward?). It's at this point I'm stuck as I do not know the name of the cook. If you can supply any information or send me a source where I can find household members and servants in Faringdon from between 1912-1922 would be greatly appreciated. Dad ( Petes brother) we lost touch due to family disagreements. I remember he lived in a flat. I'm coming to try find him the second week of November but thought I'd try here anyway to maybe make my seach easier. I would like to contact an old King Alfred's school friend by name MICHAEL BUCK. Does anyone know where I can find him ? Looking for Michael Buck. Used to be with Southern Electricity Board, Faringdon. Where is he now ? I am desperately trying to find a contact number for a local man named Kevin Lewis! I've searched the usual sources and sent an email through Facebook but I'm hoping someone out there knows him personally. If any one can get him to drop me a line, I would be most grateful! I'd be grateful if I could find out more about my grand father Thomas Deacon and his wife Mary Louisa, and whether I have any relatives. He was a clerk in the Faringdon Brewery in the mid to late 1800's, a colour sergeant in the 1st volunteer battalion, Royal Berkshire Regiment and a notable shot. I would like to contact anyone who attended the Elms Grammar school in Faringdon during the years 1945 to 1950. My sister, Christine Mary Woolman who has lived in Australia since 1953 and attended the Elms is asking if anyone has a photograph of her in the school uniform. As she is not well and many miles away from home I should, if possible love to send such a photo to her to cheer her up. 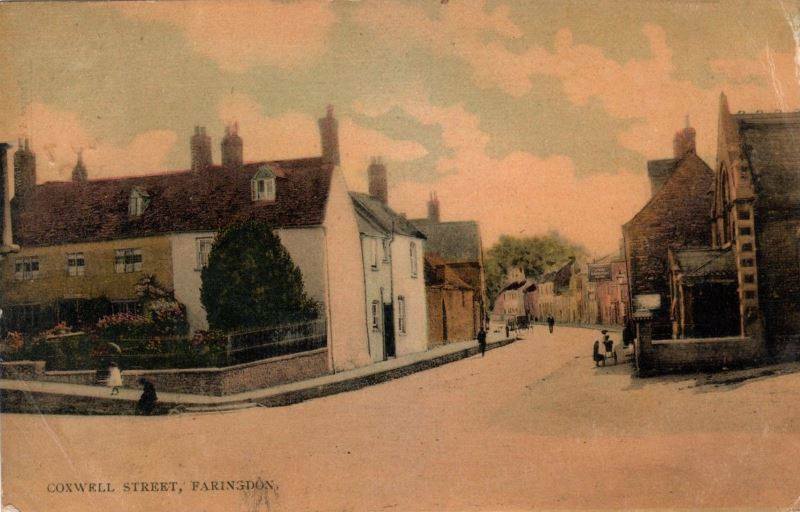 I too loved Faringdon. We lived at Watchfield. Thank you. Jennifer. 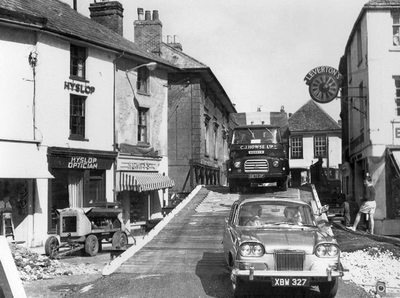 I lived in Faringdon and left in 1956. The Bohm';s had a farm & built homes for European refugees. they farmed using no modern machinery. Gordon Dowell went into the Army...I would dearly love to reconnect with them. My father was an RCAF pilot during WW2. He died in 2008. We recently found a letter which he had written to his parents in December 1941, in which he recounts his experience in Faringdon on Christmas Eve, Christmas Day and Boxing Day, on leave from training at RAF Abingdon. A young lady named Betty Cook had found him and a chum wandering the streets and invited them to meet her family and friends. He was so impressed by meeting them all, and overwhelmed by their hospitality. It helped to shape a life-long love of the English. I am contacting you in the faint hope that someone might remember them or that Betty herself might be alive (although she would certainly be 90 or more) or perhaps her children if she had any later on. Another name mentioned in his letter is Ken Kerr, who gave them a ride back to their base. Thank you. I hope someone of Faringdon can help me in locating Jane Bennett (widow of Fred) and formerly Jean Leckie. Jane is my half aunt and we have been anxiously trying to reach her for the last few weeks to inform her that her half brother (my father, also George) passed away suddenly on 2nd November 2013. We have also written but have received no reply. If there is any news of Jane please be kind enough to reply to the email address provided. 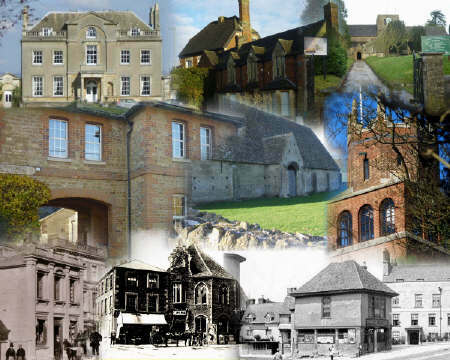 My ancestors ADAMS came from Faringdon,Longworth,Great Coxwell, Stanford in the Vale, Charney and Hinton Waldrist. I've traced them back to the 1600's and I would love to hear from anyone who might be connected to us. I have just ordered the first volume of the 'Longworth Rose' which sounds very interesting. A smashing little site. My Gran and Grandad lived in Marlborough Gardens. They were called Sally (Thelma) & Granville Clifford. They had 2 daughters Susan & Jenny. I am Susans' daughter Samantha.. I would love to hear from anyone who knew my family. I would like to say what a joy to see a web page dedicated to Faringdon my Birthplace. I have just seen the obituary of my Aunt "Marjory Mercer" with whome I share a birthday. Aunty Marj delivered me at home at 15 Marlborough Gdns on New Years Day 1963 the year of the bad snow storms. Does anybody know the whereabouts of the Sharpes family also from Marlborough Gardens. I have an ancient bible dated 1807, there are a list of names with birth dates as well as deaths in the family tree of "Bryan Reynolds" who married Mary Ward on Oct 16, 1823,from Faringdon. Their son "Bryan William Reynolds" was born on 19 April 1826. The last entry in this Bible is 20th of August 1865 which was the baptism of "Geraldine Ellen" born 6 October 1864. From the records he is buried in St Giles but his grave is unmarked - does anyone have any grandparents/parents who might remember where 'the police man' is buried as it would have been a memorable funeral even for 1942 I have looked all over the churchyard so it must be sadly unmarked. My name is Sean Dowler.I used to go to Tollington and The Elms back in 1976 until 1980. I lived in Watchfield at 9 High St. My brothers name was Paul.Does anyone remember me,or Andy Maw,Dave Goodall,Andy Morris,Caroline Pinchin,Carole Frier(now Titcombe),Tommy Adams,Derek Woolford,Nicky Hayden?Would be great to find my old mates! 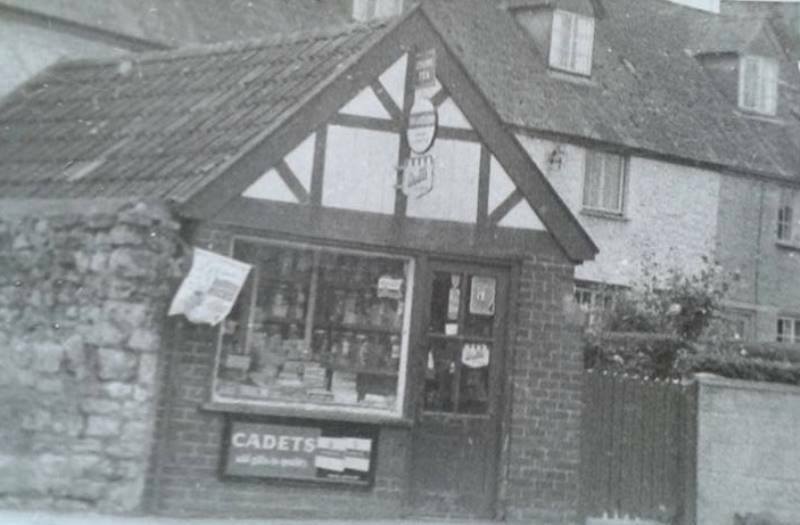 I have been told that my Grandfather's sister had a café called 'Janes Pantry'. Does anyone know any history of the owner/staff or business? My Grandfather (Frederick James Keene, known as Jack) was born, raised & lived in Stanford. He & my Nan had the White Horse Café. I hope someone can shed some light for me. My Mum, Phyllis Margaret Keene, went to the Elms in the 1940's .Unfortunately she died 1961. I am trying to find any photos of her time at school. She was very fond of playing the piano and I can recollect seeing a photo of her playing. Has anyone any memories of the Elms? In a census of 1841 mention is given to a street name off Gravel Walk called Red Row? Does anyone have any knowledge of this . My late father Gordon Reid was manager of the Express Dairy in Faringdon 1947-8. 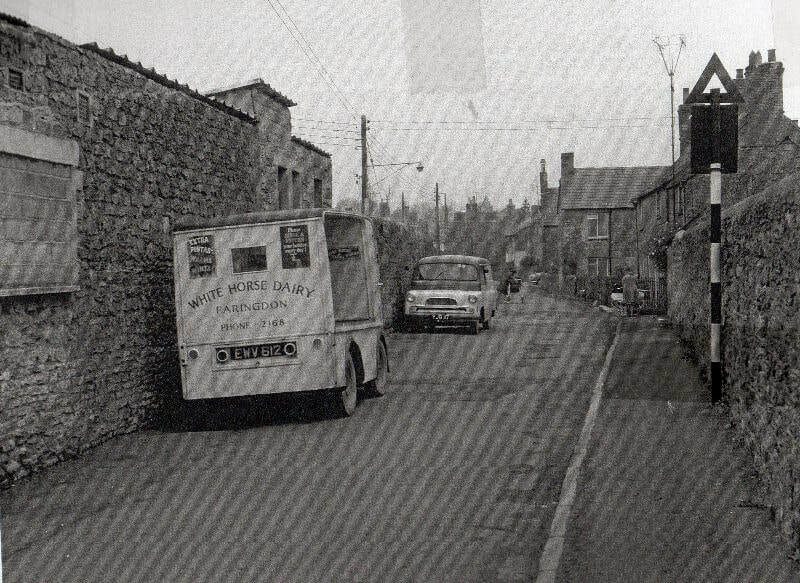 I visited Faringdon recently to see if the dairy/building was still there. Nothing. Later I looked on the web, hoping there might be some old pics. There seemed to be nothing. I did learn from that surf the dairy had been knocked down. If any of your readers have photographs or can point me to websites with photos of the dairy, I'd be delighted to hear. Hello to all the people of Faringdon,my name is roberto avagnano.I lived in Faringdon from 1965 until 1978 when we left Faringdon to come back to Italy .If there is somebody who remembers me.I would be glad if somebody contacts me. Hi. A shot in the dark, but I was in the Grenadier Guards with Dave Parsons in 1961, and have just come across a letter I had from him in 1967 saying that he was now living in Faringdon. I wonder if he is still around, if so i would love to hear from him. He would remember me from working in the officers Mess at Brigade HQ winterbourne Gunner. I thought you'd like to know that I posted a message on your board about 2 years ago looking for a friend I had in Faringdon years & years ago and this year, would you believe, she accidentally came across it and we have renewed contact after 50 years, she lives in Barcelona and last week we met up in Hertfordshire to celebrate my 70th Birthday! SALLY was about five foot high ,fair complexion, medium build, blue eyes , light coloured wavy hair , and of a very pleasant and happy disposition. I cannot remember SALLY 's last name or where she lived , only that she did live within a five (5) mile radius of FARINGDON . What a What a pleasant surprise! Whilst browsing through Internet I have just discovered your web page and to my surprise found a message from someone who was trying to locate me back at the beginning of last year. Shame I didn’t see it before as the e-mail address given at the foot of the message : Kathkstronach@btopenworld.com seems to be obselete. My name is Philomena Coffey. Patricia Coffey, or Patsy as she was better known, was my sister. Patsy died of cancer back in 1986 when she was just 45 years old. She left two daughters who still live in the area, not that far from Faringdon. As for me, after attending the secretarial college of the Lycée Français in London, I moved to Geneva and some 14 months later went on to Munich where I spent two and a half years. In 1967 I decided to pack my bags again and headed for Barcelona where I have been ever since (except for a year in Madrid in my bachelor-girl days and then three years in Paris with my husband and our two children). My husband (who is Spanish) and I are both retired now and are enjoying life to the full with four wonderful grandsons, two of whom live in Madrid and two in Barcelona. Grandchild number five is programmed for August – yet another boy! Following Spanish custom, and as British law makes no objection, although married, I am still able to use my maiden name on all official documents, something my descendents will doubtless appreciate if they ever want to build the family tree! I would very much like to contact the person who placed the message with you – and possibly with other neighbours from the Faringdon area or friends from The Elms School. Shortly before Christmas I revisited Faringdon with my daughter, her husband and their two little boys. I rediscovered just how fortunate I had been to grow up in such a beautiful part of the country and was delighted to find so many familiar “landmarks” intact. Congratulations on the initiative of setting up and maintain this very interesting web site. I am looking for my brother , Simon Llewellyn Boyd , last known residence is Birmingham and Worcester. If anybody knows him please could they get him to contact me. I would be very grateful for any help. 26/3/12 I wanted to provide you with a little additional information in the event that anyone may remember my mother and somehow have some sort of connection to my brother. Not only was she friends with Cicely and Meriell Tower but with Joan Selby-Lowndes as well in the Abingdon region as far as I can remember. They all lived in the same small village whose name escapes me but which I will try to find and send to you , as that will narrow things a bit. Admittedly anybody in her circle of friends still alive would be decidedly elderly ! I have registered on a site which promises to send out alerts on my behalf but so far I have not heard anything. I will try to be patient though ! Someone somewhere will pass the message on to him . One day ! Nonetheless I do thank you for your efforts on my behalf. Do have a good day further. I have the birth certificate of Charles Carter who was born September 23 1862 to James Carter and Ann Williams in Littleworth, Faringdon. James and Ann ,I think, were married the December 1/4 1854 in Faringdon according to the BMD"S.
In the 1861 census James was farming 161 acres in Enum District of Faringdon with his family, but by the 1871 census he was farming 385 acres at Nodbey Farm, Faringdon with 15 farm Workers, His wife Ann and Children, James(14), Albert (12). Lydia(10),Charles(8),Henry (6), and Earnest (1).. I think that James died in the December 1/4 1878 in Faringdon but Ann was only 42 when he died with a Farm and 5 children under the age of 19, Did Ann die in Faringdon in the December 1/4 of 1876 at age 41 ( a fit?) or did she live on and remarry???? If she died where did the children go as I can only trace Lydia???? Apart from the question of the deaths of James and Ann, was James a tenant Farmer or did he own Nodbey farm and what happened to it after his death??? According to the 1841 census James was born in 1829/30 in Great Waddley with Littleworth, Faringdon to John Carter and Caroline --both born in 1791( no birth place), Apart from James there was a Richard born in 1816 and an Harriett in 1823. In the 1851 census John Carter, aged 60 and a Bargeman born in Oxford, was living with an Elizabeth Carter, aged 32 and a shirt maker at Oak St, St Helen, Abingdon with 3 daughters.....Was Elizabeth married to John's son Richard??????. I appreciate that you may not be able to answer any of these Questions( apart from name places) but I need to get my questions all on the same page while I am able.I can't travel as I am recovering from the effects of 4 falls, which have further damaged my brain since my stroke in 2006 at the age of 76, otherwise I would fly over and do the research myself as I am a member of Cambridgeshire FHS and also the FFHS.So any advice you can give me on how to proceed would be gratefully received. Was there a church in Littleworth??? If so. and if the records are available, it could be very informative. 11724 N Cassiopeia Dr, Oro Valley, AZ 85737.